Here are just a few things our Team is involved in throughout our community! RAYMORE, MO (1/17/19) – The CBR Team presented a check to Tom Kruse, Athletic Director of Ray-Pec and Travis Thurston with the Ray-Pec Athletic Booster Club. The Ray-Pec Athletic Booster Club is an established non-profit organization to encourage parent participation and to raise funds to enhance and expand the Athletic programs that are available to each individual student at Ray-Pec High School. 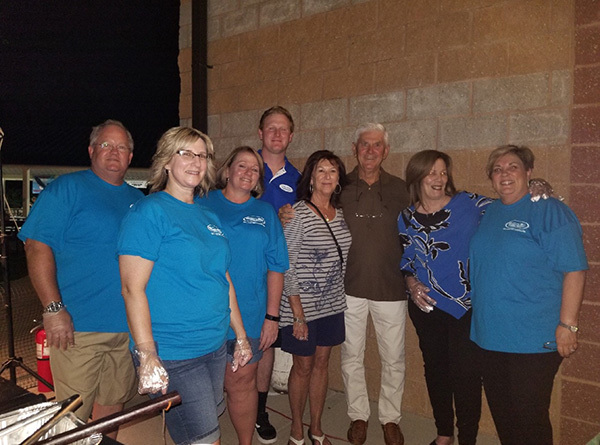 “We are happy to give back to the community that has supported us so much,” said Jack Hopkins, President of Community Bank of Raymore. 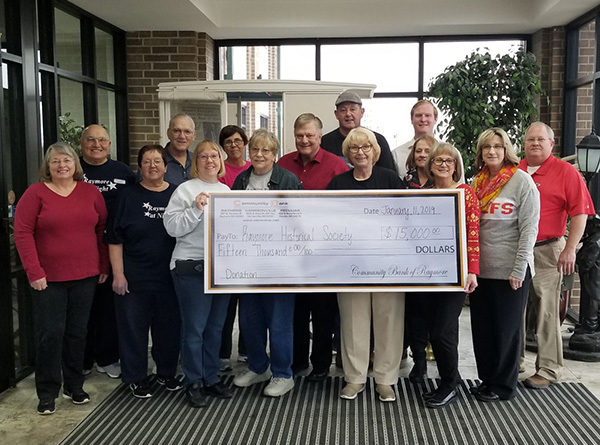 RAYMORE, MO (1/11/19) – The CBR Team presented a check to the Raymore Historical Society to assist with renovations of their new location. The Raymore Historical Society was started in 1994 by a few members of the community interested in preserving the history of Raymore. The Society operates a museum, library & archives to collect, preserve, study, interpret & exhibit materials relating to Raymore & nearby areas and recently purchased a permanent location for the museum that will display over 40,000 artifacts. “The Raymore Historical Society is very excited to have a permanent location for the museum. 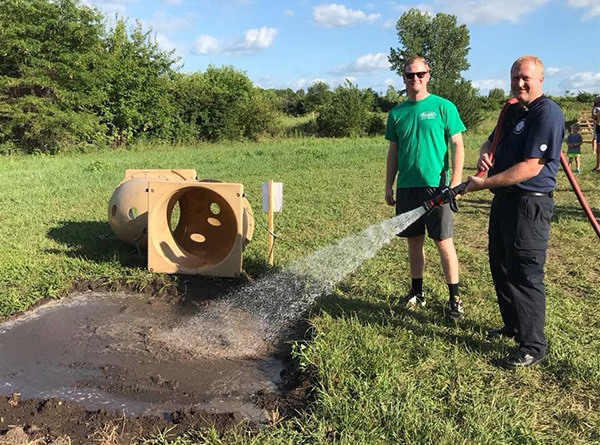 We have been very blessed by local citizens and businesses, like CBR, to make this a reality,” said Renee Kerckhoff, President of the Raymore Historical Society. 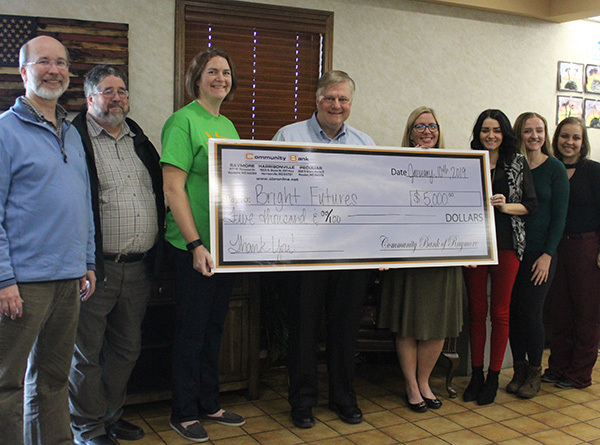 HARRISONVILLE, MO (1/10/19) – We were happy to have the opportunity to present a check to Bright Futures Harrisonville! The funds will be used to provide students with service learning opportunities. 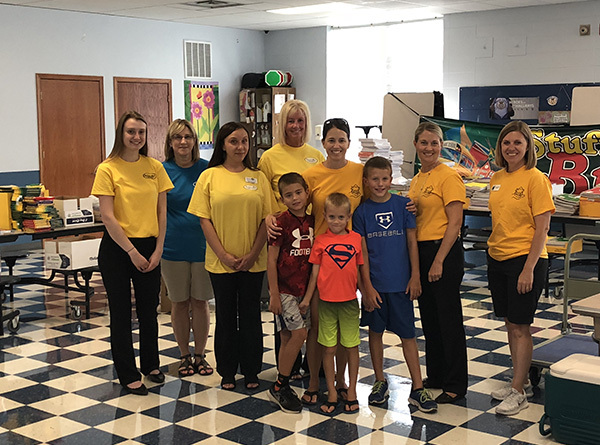 Bright Futures Harrisonville is a community initiative which strives to help students achieve success by matching student needs with resources through partnerships between the schools and the community. Service learning is a component of the Bright Futures framework to provide opportunities for students to learn about needs within the community and serve their community by giving back. The funds will be used to offset transportation costs for students to serve within the community. 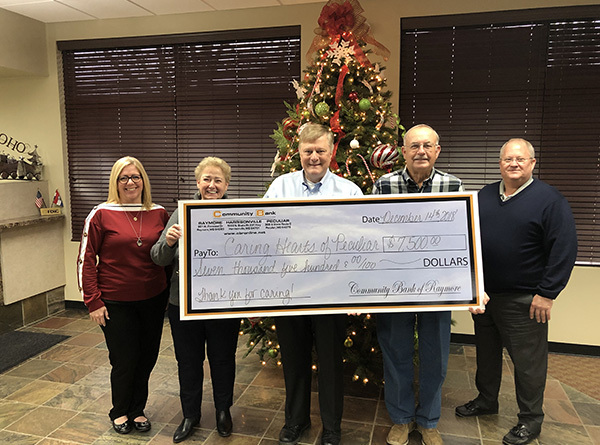 PECULIAR, MO (12/20/18) – We had the privilege of presenting a check to Caring Hearts of Peculiar, a wonderful local non-profit organization. The mission of Caring Hearts of Peculiar is to provide financial support for various health education and welfare needs within the community. CBR is happy to support organizations such as Caring Hearts of Peculiar to assist with strengthening our wonderful community. 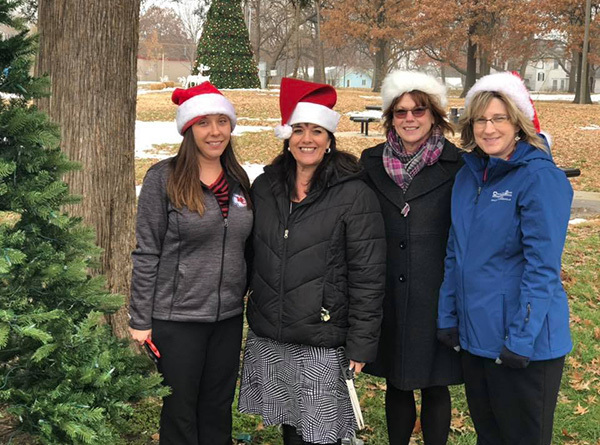 RAYMORE, MO (11/30/18) – A few of our employees were full of holiday cheer after decorating a Christmas tree for the annual City of Raymore, Christmas Tree Trail! 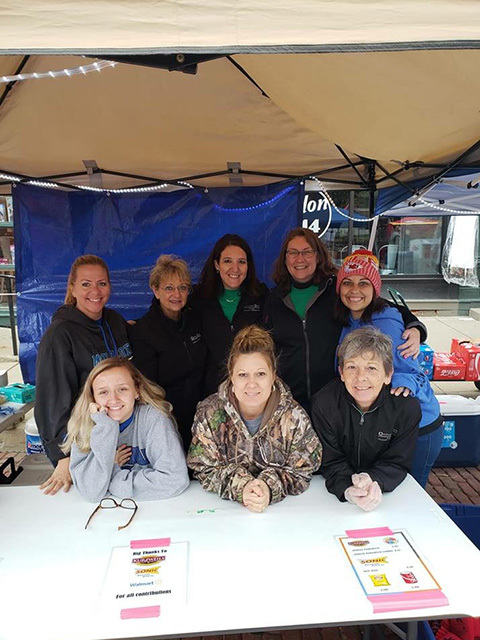 HARRISONVILLE, MO (10/05/18) – Some of our wonderful staff volunteered their time assisting the Harrisonville Chamber of Commerce with a booth at the Burnt District Festival. 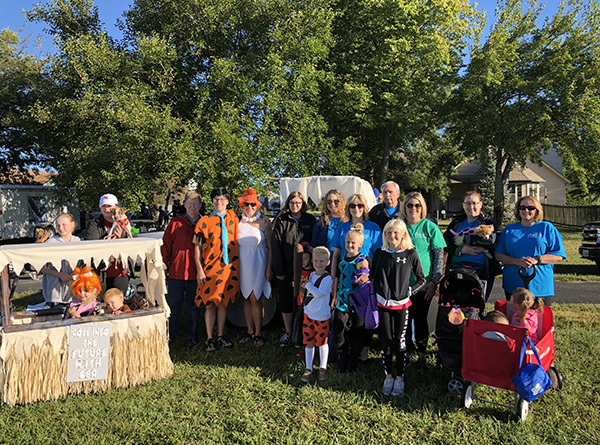 RAYMORE, MO (09/22/18) – The theme for this year's festival was "Rockin' and Rollin' in Raymore." We WON!!!! 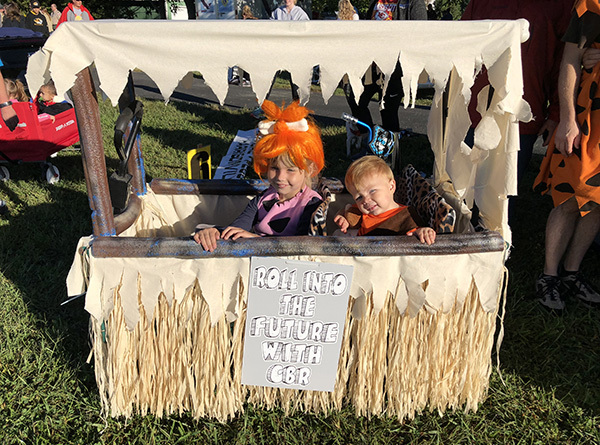 Community Bank of Raymore took home trophies for our float in the categories of Best of the Parade, Best Use of Theme and Most Original. We also participated in the Raymore Festival in the Park, donating all food, time and services to the concession stand. Raymore Festival is an annual community event the city that runs from Thursday through Saturday during September and is located at Memorial Park with carnival rides, vendors, food trucks and more. Our team had so much fun serving the community in this fashion. 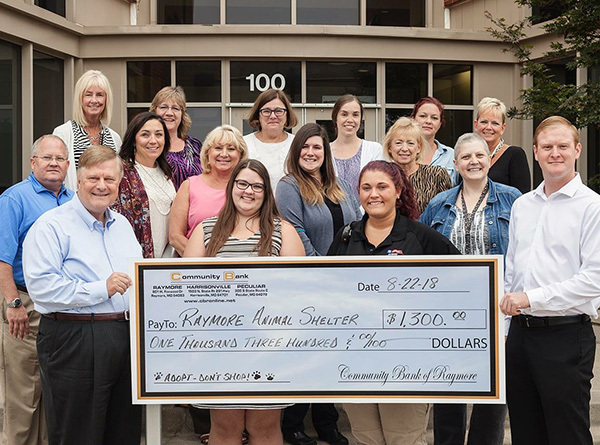 RAYMORE, MO (08/22/18) – Community Bank of Raymore partnered up with the Raymore Animal Shelter in a social media challenge in honor of National Homeless Animals' Day on August 18th. For every like, share and photo of rescue pets posted, the bank would donate $1.00 to the shelter up to $500. Thanks to the significant engagement from the community, the employees of CBR presented a $1300 check to The Raymore Animal Shelter. 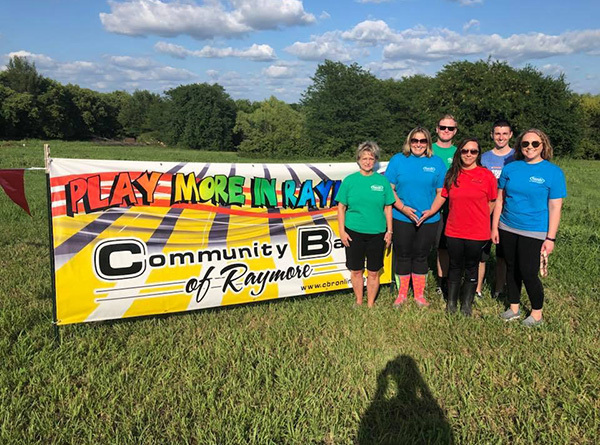 RAYMORE, MO (08/17/18) – Employees of Community Bank of Raymore enjoyed volunteering for the annual Raymore Parks and Recreation Mini Mud Run! 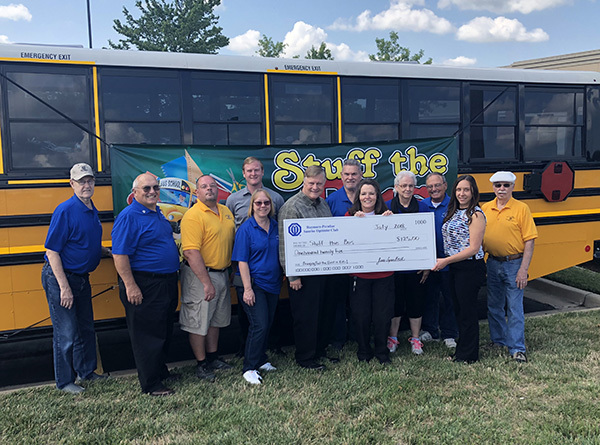 RAYMORE, MO (08/16/18) – Community Bank of Raymore concluded the 10th annual Stuff the Bus-School Supply Drive outreach and thanks to many community partners, it was a record-breaking year! Brand new backpacks were filled with school supplies and given to families in the Ray-Pec, Cass Midway and Harrisonville School Districts. Community Bank of Raymore is honored to be a part of this event, in which a community comes together to make a differences in a child's life. 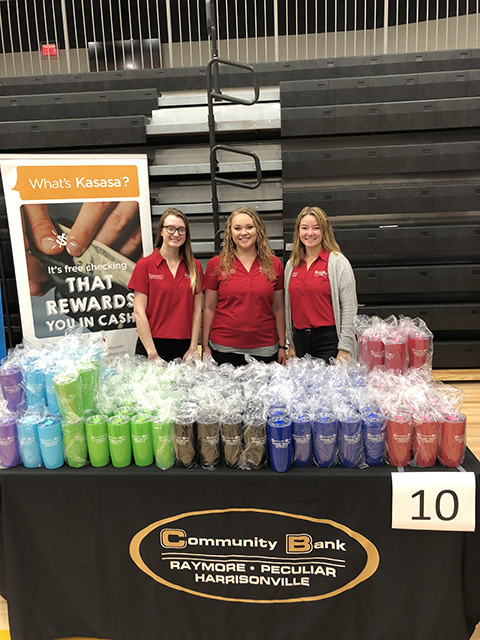 PECULIAR, MO (08/08/18) – Our CBR crew welcomed back the teachers and staff at the Ray-Pec Back to School Fair with big smiles and cool tumblers. 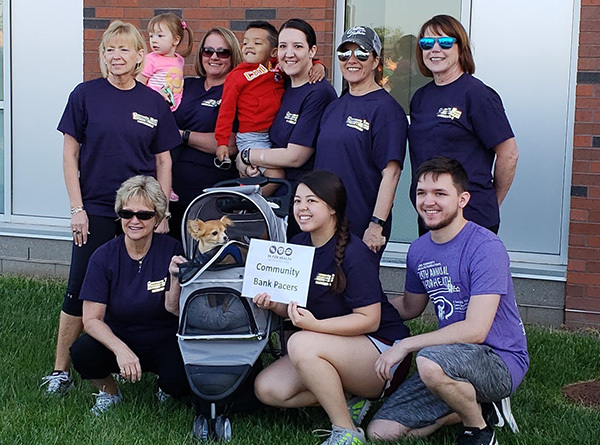 RAYMORE, MO (05/07/18) – Community Bank of Raymore participated in the annual Cass Community Health Foundation Walk for Health. 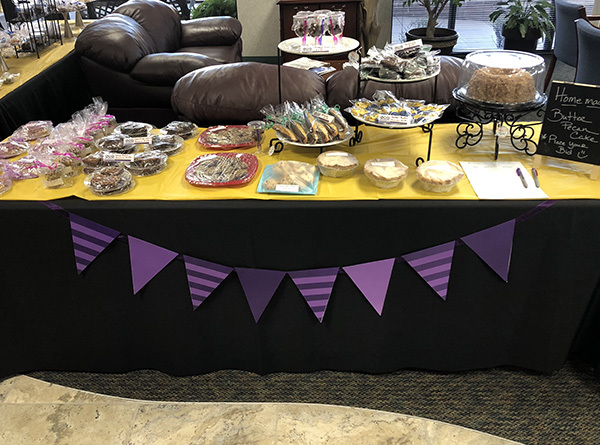 The bank held a one-day bake sale prior to the event, where employees baked homemade goodies from the heart and raised over $735! Proceeds support the Cass County Dental Clinic and scholarships for high school seniors interested in health care. 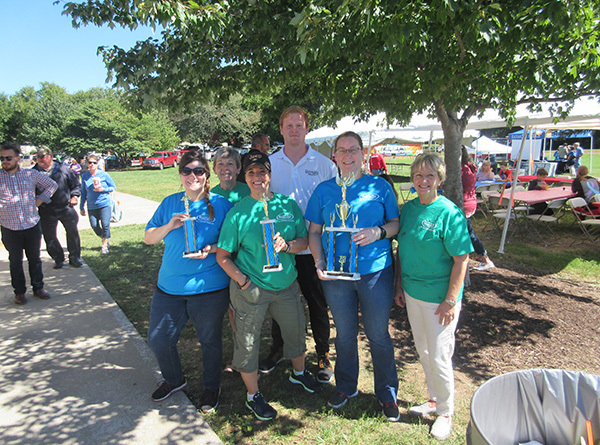 In addition, CBR employees participated in the Walk for Health event with a team called the Community Bank Pacers.